In honour of our birthday celebrations, we have some guests stopping by over the next 4 weeks. We've asked them all to share 5 books that have impacted their lives. 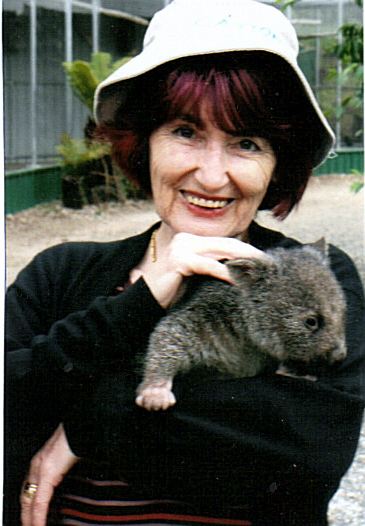 Today we are pleased to have Australian author, Rita Stella Galieh, and writer Gwendolyn Gage join us. Thanks for the invitation to be part of Book Review Sisters celebration! The Holy Bible is a given, as I have been daily guided by God's Word for all my adult years. And I have read thousands of novels, biographies, and nonfiction which have entertained, held me in suspense, and blessed me, but the following list comprises the five memorable books that made an impact on my life. 1. SNUGGLEPOT and CUDDLEPIE. Illustrated Children's Fiction by May Gibbs. I must have been about eight when I saved for months and proudly took my piggy bank to Angus & Robertsons. I loved this book and still look twice to see if the bad banksia men are watching me! 2. ANNE of GREEN GABLES series by L M Montgomery. I devoured this book in my pre-teens and a few years later. In my technicolour imagination I became part of this young orphan girl's adventures. I truly felt her to be a kindred spirit. 3. THE PERSON & WORK of the HOLY SPIRIT Theology by Dr Rene Pache. I studied this at a spiritually hungry time in my life before entering Emmaus Bible College. This story of five young martyred missionaries challenged my husband and me to dedicate ourselves to the Lord's service. And soon after we became involved in a full time evangelistic ministry. 5. CURRENCY LASS Australian History by Margaret Reeson. This awakened my love for our Australian heritage and spurred me on to write Historical Romantic Intrigue. All to entertain, inspire, and keep my readers turning the pages. As co-speaker for the weekly Australia-wide Christian radio program, Communication, Rita's first published book FIRE in the ROCK was set in the opal fields. Late last year SIGNED SEALED DELIVERED was published by Ark House Press. She is now looking for THE TIE THAT BINDS and A PARCEL of PROMISES to be published. This trilogy covers the life of a young woman transported to Australia and the stories of the daughters she never knew. Her weekly blog http://inspirationalromance.blogspot.com features true life stories from all over the world. A graduate of Emmaus Bible College and the National Art School, she and her evangelist husband regularly present their message with music and art at church functions. A contributer of non fiction to several US anthologies, she is a member of Christian Writers Down Under, Omega Writers, International Christian Fiction Writers and American Christian Fiction Writers. Each year the Galiehs travel to Thailand ministering for a month in government Buddhist schools, hospitals, orphanages, prisons, and churches. A Voice in the Wind by Francine Rivers swept me into the depraved world of Ancient Rome, and the life of Hadassah, a Messianic Jewish slave girl in love with her master's son, and afraid of taking a stand for Christ and facing death in the arena. Not only was I able to relate to Hadassah's fears and self-loathing over her failures, but Francine was able to do something that no other novelist had ever done: she whetted my appetite for more of God and His Presence through Hadassah’s story, and made a difficult ending beautiful and perfect—one that stayed with me long after I closed the book. The Gates of Zion by Bodie and Brock Thoene is the first of a historical series that was near and dear to my heart as a teenager. The Thoenes drew me into war-racked, fledgling Israel during the 1940s, where I became the American photographer, Ellie, as she got herself into pickle after pickle and wavered in between wanting to give ex-fiancé and American pilot David another chance, and continue seeing the intriguing Israeli professor Moshe. The action and edge-of-your-seat suspense packed in this great love story made it an instant favorite. Corrie Ten Boom was a leader in the Haarlem underground movement, a Holocaust survivor, and a devout Christian who forgave and loved the Nazis who killed her family and took everything from her. This woman's testimony is amazing and inspiring, and she’s on my list of people I’m dying to meet when I get to heaven. If you haven't read The Hiding Place, you're missing out. Can I add a book I've read recently? Redeeming Love is an amazing story, modeled after the Book of Hosea in the Bible, and staged during the California gold rush in the 1850s. The hero, Michael, was a type of "Christ" as Hosea was, and so I expected his forgiveness and patience toward embittered prostitute, Angel. But I didn't expect the depth of pain the hero went through, which Francine Rivers captured beautifully. I've read the accounts of Jesus marveling at human unbelief and being angry at the Pharisees for their hypocrisy, but somehow I still imagined God far removed from the emotions that tear our insides apart. This book was eye-opening, and gave me a completely new perspective. Gwendolyn Gage has written three full-length novel manuscripts—two speculative fiction, and one historical romance. She is actively seeking homes for them, and networking with potential readers in the meantime. She doesn't write to simply entertain. She sees her talent as an opportunity to minister, and it is her ambition and prayer that her readers will come away from her stories and blog with a desire for more of God. 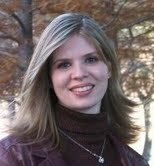 Gwendolyn attended Christ For the Nations Institute in Dallas, TX, and graduated in 2002 with a major in Christian theology. She lives in Dallas with her husband, David, and their two-year-old son, Micah. Thank you so much to Rita & Gwen for taking the time to be with us today, and sharing some books that have impacted your lives. There are some wonderful reads there! It must be fun for the two of you working together. I love to blog about personal stories of how girls met the love of their life at http://inspirationalromance.blogspot.com It would be great if one of you could share your story with me! Rita - Thanks so much for sharing these books with us. I grew up on Snuggle Pot & Cuddle Pie too! Our grandma gave it to us, and our dad used to read it to us. It's a nice memory we have of our childhood. Now that you mention it Jess, I remember you being afraid when dad was reading Snuggle Pot & Cuddle Pie to us! Maybe because you were just that bit younger. I just remember it was the only thing dad ever read to us, and he had such a nice reading voice. Every time I see Banksia's I think of Snugglepot and Cuddlepie. And where we live in WA there seems to be a good number of Banksia trees. I love Snugglepot and Cuddlepie, thanks for reminding me of this Rita. Congrats on your birthday, Jess and Helen...a wonderful milestone for your blog! Thanks again for the honor of being your guest, Helen and Jess! Waving at Rita -- I think I read "Through the Gates of Splendor". Elisabeth Elliot has an amazing testimony! I have a friend whom I think you would get along very well with - she raves about Francine Rivers (but I think anyone who has read her books does!) and she also told me about Bodie and Brock Thoene. I will get to them, I'm sure! So many fabulous authors out there. I think I'd almost have to put The Hiding Place on my own list (if I ever do one!). My mum gave it to me when I was about 10 or 11. It did make a huge impact on me. And when I re-read it in my mid-twenties, it stunned and moved me all over again. What an amazing testimony Corrie Ten Boom has. You're welcome, Jess! I'm so tickled to be your guest. Yes, you need to read a Francine Rivers book. I would start with "A Voice In the Wind". "The Mark of the Lion" series is my favorite! Came over from Gwen's blog...So nice to meet you, Helen, Jess, and Rita! Thanks Loree for stopping by - and for the birthday wishes! I just voted! Good luck. It's great to see you here too, Rissi! Helen and Jess are terrific book reviewers, and they're also writers. Great to see Gwen here and meet Rita:) The title Currency Lass sure is intriguing! Such a great series you sisters dreamed up - and a great way to share books! Bless you all!! So glad to see you here Laura! And I'm glad you like the series idea :) It's so interesting to hear about books that have impacted people's lives. I love the books you both picked! I really want to read Through gates of Splendor and The hiding place. Both sounds like wonderful books. LOL at the dinosaur part =) You have come a long way. Francine Rivers is on my TBR pile already (because of you). Visited because of Gwen and stayed because it was interesting. I also voted for you for the Best Australian blog. Actually, you're the only Australian blog I know of, but hey, nobody else need know, right? Thank you so much Michelle! I'm so touched you were pleased with our blog and decided to vote for us, even though we're the only Aussie blog you know :P We're glad to be the first one then!